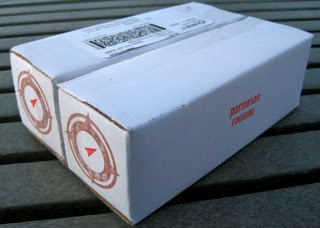 A Daily Dose of Fit: And you could win this: an entire box of Journey Bars! And you could win this: an entire box of Journey Bars! Yes, it's true—I am mildly obsessed with granola bars to the point where I am always on the hunt for new and exciting (and healthy) options. When I come across something interesting, I usually try it without question. And consequently, promote it right here as an excellent addition to most fit life diets. 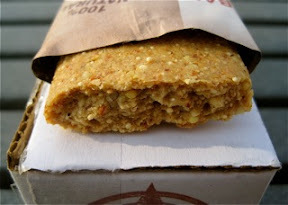 But from new granola bar to new granola bar, I tend to see the same old ingredients. Which is fine because they're usually quite yummy. But every once in a while my taste buds crave something different. Something totally off-the-wall yum. Because (let's be honest) you can only eat a combination of oaty, peanutty, raisin- and chocolate chip-filled granola bars so many times before you really want something else. Something...savory? Yes, indeed. And I have found it. 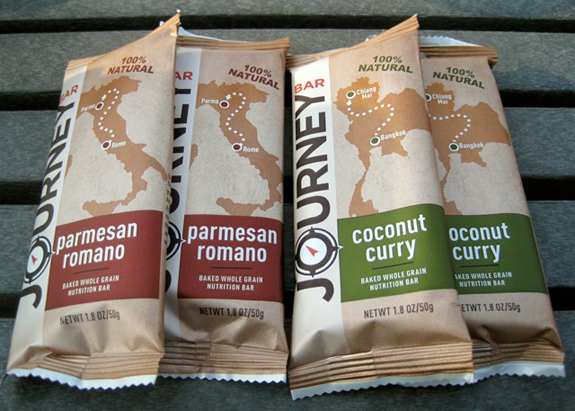 Well, them...they're Journey Bars. And they're quite tasty. These "baked whole grain nutrition bars" are chock full of great ingredients that combine to create flavors inspired by journeys to foreign lands. Think oats and flaxseed, plus amaranth and millet. Plus what? Amaranth: a seed commonly referred to as a super food because it provides a significant amount of protein, fiber, iron, vitamins, etc...etc. 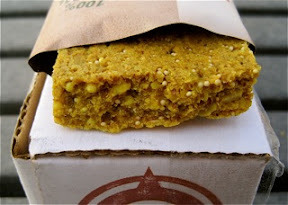 Millet: a grain that is 15% protein and also full of fiber and minerals. And when you get into the individual flavors, you'll get some delectable spice action, too. I dove right into the Parmesan Romano bar because I pretty much knew I'd love it. And I was deeply curious to see how the flavors would translate—they did, quite deliciously. 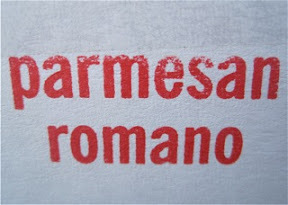 The Parmesan and Romano flavors were perfect, and I also got a hint of salty (but not too salty) garlic. The whole thing was very much like a cracker, actually. Like a really big, thick cracker. I would eat it again, for sure. 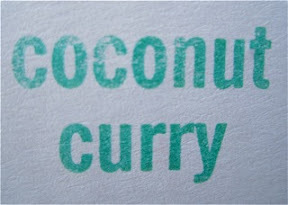 However, I'm not too sure about the Coconut Curry bar. Going into my taste test, I knew that this particular flavor would be a hard-sell. At least for me, as I'm not the biggest fan of curry. OK, I hate curry. But coconut...I like me some coconut. So I dove in and honestly, I didn't hate it. But I didn't love it, either. I can't say for sure whether or not the curry is overpowering because, like I said before, I don't eat much of it. But the coconut provided some sweetness that may have redeemed things. It truly is a mystery to me, this Coconut Curry bar because I can't stop myself from eating it despite the fact that I'm not crazy about it. Ever eat something like that? I guess you'll just have to try this flavor for yourself. In fact, I recommend you try both flavors. They're something different, and I like different. If you like different, you're in luck because Journey Bars is willing to give you a box of twelve. One half Parmesan Romano, the other half Coconut Curry. To enter, "like" A Daily Dose of Fit on Facebook. Leave a comment on this post telling me you've done so, and for the fun of it, tell me what part of the world you'd like to journey to and why. Bonus entry if you "like" Journey Bars, too! All comments must be made before midnight EST this Friday, November 19, 2010 to qualify. The winner will be chosen at random and announced this Sunday, November 21, 2010. Best of luck to all of my readers! Love "A Daily Dose of Fit" and like Journey Bars. Italy and Greece are on my list of places I'd love to Journey to and experience the history and architecture that goes so very far back to the days before Jesus Christ was born! I want to walk right into the photos I've seen so many times and look around me and take it all in. I want to taste the different foods and people watch to my heart's content. And buy some really great Italian shoes. Like A Daily Dose of Fit and like Journey Bars. There are so many places around the world that I want to visit it is hard to narrow it down but I have to put Greece and Spain at the top. I would love to immerse myself in the culture, savor the authentic food and wine, and take as many pictures as I can!! I love to read " A Daily Dose of Fit" I have even given your blogspot to my gal pals here in Savannah, GA!! YUMMY ideas! If I could visit one place, I would want to journey to Austria! I would love to see where my great-grandparents were born, enjoy the win country and see the Alps! I like yours and Journey's FB page! There are many places I would love to visit, but Ireland is definitely on the top of the list! It just looks beautiful! I liked your page. I really want to travel to Bangladesh because that is where my fiance's family is from. I would love to visit Hawaii. It looks so beautiful, and relaxing! I would love to visit Angkor Wat in Cambodia someday! Thanks for all of thehard work that goes into your blog.